On a budget? Want to pick up some skills without doing a guided fly fishing trip? RIGS fly fishing clinics & courses are designed to teach the fundamentals: casting technique, fly selection, equipment, entomology, reading water, and river etiquette. Become a successful angler through our hands-on courses, clinic instruction, and detailed equipment review. Our 2 Hour Walk-In Clinic, advanced tactics, Tenkara Network clinics, and fly tying clinics are just some of the insightful offerings from RIGS that will help you achieve personal angling success. Stay up to date with our online Real-Time Fishing Report, view the most recent posts on fishing in Colorado via Facebook, or check out our What’s Hot BLOG for the latest news & deals on RIGS offerings. Visit RIGS’ Adventure Planner for assistance in choosing the right guided fly fishing trip for your group – guided fly fishing trips are available year-round. Since 2001, RIGS Professional Instructors have aided students of all ability levels in their pursuit to become more competent and self-sufficient fly fishing anglers. RIGS also offers several whitewater-based instructional courses. Designed for Guide Training/Employment, or just to better private boating skills, RIGS courses offer the essential foundation for becoming a competent boater. Since 2003, RIGS has trained numerous guides via our: State of Colorado Certified Guide Course and our ROW Course – Oar Boat Skills (Including: Float Fishing). Challenge yourself with an exciting and educational river rafting course designed to instill confidence and increase competency. The Fly Fishing Show – Denver Come by and see the RIGS Booth & Destination Theater Presentations. *The first weekend in January every year except if it falls on January 1st – then it is the following Friday-Sunday. NEW Rod Demo Days – Try out the latest fly rods from SAGE, Redington, Tenkara USA and more! RIGS will be stringing up its quiver of rods and making them available to cast just down the street in Ridgway Town Park to demo and cast to anyone interested in seeing what they’ve been missing. PLUS – Attendees will receive a 10% OFF Coupon towards the purchase of any of our NEW Rods immediately following the DEMO! Call for more information. 22nd Earth Day Special! 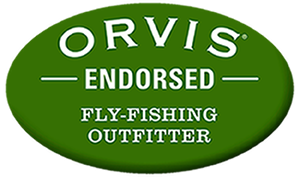 (Recycle your old Fly Lines at RIGS and receive a 20% Discount towards a NEW Line!) One time discount is valid towards the purchase of one fly line only per-person, regardless of number of lines brought in to recycle. Spread the word and keep it GREEN! Float Fishing Guide School – Learn how to successfully row/navigate an oar boat successfully down the river on your own! Gain valuable skills, safety, rescue and recovery techniques. This 7-Day intensive course provides you with a better understanding of river dynamics including: hydrology, reading the water, environmental considerations, and the hazards associated with recreational & commercial river rafting/drift boating. The focus of this course is to educate future oarspeople. Raft Guide Training Course RIGS has offered its Colorado State River Guide Certification Course since 2002 and has provided the most extensive guide certification course, with the highest level of certification, available in the region. Your instructors have been training top quality river guides since 1991 and look forward to sharing their experience with you. Mother’s Day Weekend Special – *2 for 1 on Guide Trips. Mothers with Daughter/Son ONLY, (Valid for Walk Wade Fly Fishing & ½ Day Raft Trips: *Discounted trips conducted that Friday, Saturday and Sunday surrounding Mother’s Day. Thanks MOMS! Locals RAFT Special Weekend – Locals Only (2 for 1). Must have valid I.D as resident of Ouray, San Miguel, or Montrose Counties. Discount is valid on ½ Day Uncompahgre River (Saturday) and ½ Day San Miguel River (Sunday) trips only. *First Weekend of June unless otherwise advertised. Call for more information. Father’s Day – *Guide Trip Special: (2 for 1) Fathers with Daughter/Son ONLY, (Valid for Walk Wade Fly Fishing & ½ Day Raft Trips: *Discounted trips conducted that Friday, Saturday and Sunday surrounding Father’s Day. Thanks DADS! Call for more information. Book-Early PROMO – GUNNISON GORGE / BLACK CANYON 3-Day Trips – *RIGS officially releases its Launch Schedule to ALL Past Clients first on a “first come, first serve” basis. Here’s your chance to book the best dates on the RIGS Launch Calendar before they are released to the general public! Special thanks to ALL our Past Clients – pick our brains for best guess on prime time hatches! Labor Day Sale – End of Season Blowout! Stop in, or shop online, for the best stock on end of the season specials and closeouts: up to 50% OFF select apparel, fly rods, reels, waders, boots and much more! Visit the Online Store today! Hunting Season Special 20% OFF a Guided Fly Fishing Trip! – show you’ve “tagged out” and get 20% OFF a Guided Fly Fishing Trip! (Valid September 15th thru November, valid per-person only, for trips conducted within this time frame only. Must show filled tag when booking). Veteran’s Day Special 30% OFF Guided Fly Fishing Trips Valid over Veteran’s Day weekend only Must provide valid Military ID# – book by phone, call 970-626-4460 today. Thanks for your service! November Special: Free Guided Fly Fishing Trip Valid with the purchase of any Fly Rod Package ($350 value or higher). Group ½ Day Trip to be conducted at 10am on set date: meeting at RIGS. Call for more information. Holiday December Special: Free Guided Fly Fishing Trip Valid with the purchase of any Fly Rod Package ($350 Value or higher). Group ½ Day Trip to be conducted at 10am on set date: meeting at RIGS. Call for more information.